Eleven Minnesota counties working to improve health care and health delivery systems. • Flu causes more than 36,000 annual deaths. • Children are primary carriers of the flu. The hope is that with school-based vaccination clinics there will be less visits to the medical clinics. “We can capture kids in schools that may not have a chance to come to the clinic, they are a captive audience, so we are able to immunize more children that are unable to come to us,” said Terese Appel-Jacobs, an LPN at Mayo Clinic. So far the program is taking shots towards it’s goals. “We are really seeing the key stake holders in the community come together and unite around this goal of improving health,” said director of the ONC Beacon Aaron McKethan. Forms will be retained by your clinic and your child’s immunization records will automatically be updated once the vaccine is given. You must register your child(ren) online at least two days prior to the clinic date in order for it to be properly processed. • Online registration was not submitted two days prior to the clinic date. • Registration information is not complete or is inaccurate. • Not in school on the school’s clinic day. • Otherwise ineligible to receive a vaccine (i.e., not a student in the school, medically not eligible, etc). There will be no makeup days, with the exception of emergency weather cancellations. Why should my child be vaccinated against influenza? • Each illness is equivalent to 1.5 – 5 days of missed school, resulting in 38 million lost school days a year. Preventing disease and keeping our children healthy is a priority for all of us. One of the best ways to protect our children’s health is through vaccinations. Seasonal influenza is a serious disease that can spread quickly among children. According to the Centers for Disease Control and Prevention (CDC), children typically have the highest attack rates during community outbreaks of the flu and children can spread the illness very quickly to their friends, neighbors and family members. Protecting our children from influenza protects all of us. The CDC now recommends that everyone 6 months and older get the flu vaccine every year. This year, through a unique partnership between Olmsted Medical Center, Mayo Clinic, Olmsted County Public Health and the SE MN Beacon Project nearly 12,000 students in 28 schools will have the opportunity to receive a flu vaccination during the school day, right at their school. 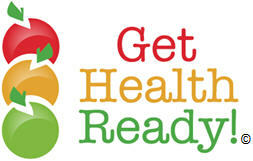 This is a fast, easy and convenient way to keep our children, our school and our community healthy throughout the year. Why should my child get the vaccine at school instead of at the clinic? • Vaccination appointments during the school day cause children to miss about half a school day. • Students miss only 15 minutes of class to receive the vaccination at school, resulting in a 2-3 hour difference in class time lost. • Taking children to a clinic for immunization requires parents to take off work. If the child does not receive the vaccine, they may get sick or even pass on the illness, resulting in more lost work days. Why is my school participating? Immunizations are an important way to keep children healthy, and health professionals encourage all children to get an annual influenza vaccination. Your school has partnered with a team of nurses from Olmsted Medical Center, Mayo Clinic and Public Health to offer the flu vaccine (both injectable and mist) to students this fall at their school, during the school day. Parents do not need to be with their child. This makes it easier and more convenient for both students and parents while keeping our school and community healthier during influenza season. Who is eligible for flu vaccination at the school? All registered Kindergarten+ students at designated schools are eligible regardless of insurance coverage or ability to pay. Only children attending one of the 28 partnering schools can be vaccinated. If your child has insurance coverage, your insurance will be billed and you may have to pay a small fee, as you would if your child was getting a vaccine at the clinic. Please contact the billing office at your clinic or your insurance carrier to find out more detailed information. No child will be turned away, regardless of insurance coverage or ability to pay. If your child does not have insurance coverage, they will receive a vaccine from the Minnesota Vaccine For Children program, and you will receive a bill for $21.22 to cover administration. If you are unable to pay this fee, contact the account services number listed below to ask that the fee be waived or reduced based on your ability to pay. How does the billing process for school-located vaccinations work? Parents will be sent information regarding insurance and billing similar to a regular clinic immunization visit. Any questions regarding this should be directed to clinic billing staff. Do I have to be at the school with my child? No. Parents and/or guardians do not need to be at the school when the vaccine is given. This makes the process fast, efficient and convenient. Permission is given for your child to receive the vaccine in the school setting by filling out the online or paper registration form. Will my child’s immunization records be updated? Yes. Immunization records will automatically be updated to reflect the vaccine administration, the lot number, date of vaccination, and type of vaccine given. Because we are limited on the amount of time we can spend in each school, the clinics may be offered at a time that is not when your child is attending class. If it works out that you or someone you know can bring them to the school at the date and time, your child can receive the vaccine, but you must still register your child ahead of time. What Should I Know About Flu Vaccine? The Centers for Disease Control has a website that has detailed information about the vaccine and influenza. You can access this at: http://www.cdc.gov/flu/about/season/flu-season-2013-2014.htm. What if my child has an allergy or a chronic disease? There are a few allergies and health conditions that prevent children from receiving the vaccine. If you have concerns about whether or not your child should receive the vaccine at school, please contact your child’s healthcare provider or the nurse triage line.